Since 1986, Rugs Royce has provided high-quality, affordable carpet, tile, and grout cleaning services to Menifee and Canyon Lake homes and businesses. We have thousands of satisfied clients throughout Riverside County and more than three decades of experience. Because of our stellar reputation and accrued knowledge and skill, you can count on Rugs Royce to safely and effectively clean all of your carpets, area rugs, upholstery, tile, and grout. We'll deliver exceptional results in a timely manner whether you need steam cleaning for a single room in your home or an entire office building. We have a highly qualified team of professionals and only use the industry's preferred steam cleaning machines, tools, and cleansers. We are certified by the Institute of Inspection, Cleaning, and Restoration Certifications (IICRC) and guarantee our steam cleaning services for four weeks. Our friendly employees have all passed extensive background checks and will maintain a professional appearance at all times. For over 30 years, Rugs Royce has cultivated a reputation built on treating customers the way we want to be treated. We believe this helps set us apart from many other carpet and tile cleaners, as we aim to provide a stress-free customer experience with no high pressure sales tactics or gimmicks. We begin by providing every customer with an upfront estimate. For the most accurate estimates, you can send us photos, or we can arrange a free on-site visit if we're close by. Once we provide an estimate, we stand by it, so there will be no surprises. In addition to tile and grout cleaning, Rugs Royce also provides tile sealing. We also clean, polish, hone, and restore marble, granite, and travertine floors, backsplashes, countertops, and facades in Menifee and Canyon Lake. While our prices are always competitive, we'll provide additional discounts if you add on one or more services to the same job. Call us today at (951) 898-9152 for your free over-the-phone estimate on any of our carpet, rug, furniture fabric, or tile and grout cleaning, tile sealing, and stone floor/countertop restoration services in Menifee or Canyon Lake. We can provide convenient appointments and will arrive on time in one of our fully equipped company vehicles. We're open seven days a week, between 8:00am and 6:00pm. Visa, MasterCard, American Express, and Discover are all accepted. Rugs Royce Carpet, Tile, & Grout Cleaning offers highly reliable, fairly priced carpet cleaning in Menifee, Canyon Lake, and surrounding cities throughout Riverside County. Our family-owned and -operated business is proud to be certified by the IICRC, which means that we are thoroughly familiar with the industry's highest standards for steam cleaning carpets. We have over 30 years of experience and have become Riverside County's experts at cleaning all types of carpet and removing a wide array of stains, including wine, coffee, grease, urine, and more. We welcome steam cleaning jobs of all sizes, from a few rooms to an entire corporate building. Call us today for a free estimate and to learn more about our carpet cleaning services available in Menifee, Canyon Lake, and surrounding areas. We offer a 10% discount when we steam clean your entire home or business, and an additional 10% discount when you add-on tile and grout cleaning services (200 square foot minimum required). We stand behind the quality of our carpet cleaning service with a four-week guarantee. At Rugs Royce, we understand the value an area rug can have to a homeowner. 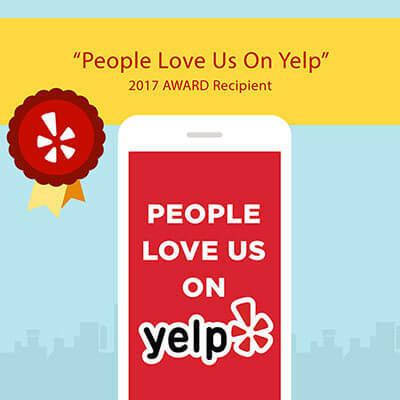 That's why we've developed a reputation as one of Menifee and Canyon Lake's best choices for area rug cleaning. We specialize in cleaning area rugs of all sizes and types, including those made from rayon, jute, nylon, wool, and other fibers. We're always careful to protect rug fibers and dyes, and can be trusted to accurately dilute our cleansers before using them on your area rug. We're also experts at removing stains, such as coffee, wine, and grease, from area rugs. Call today to request a free estimate and schedule your area rug cleaning services at your Menifee or Canyon Lake home today. Founded in 1986, we have decades of experience cleaning all types of furniture fabrics and removing most stains. Call us today at (951) 898-9182 for Menifee and Canyon Lake's best value in upholstery cleaning. Call Rugs Royce today for Menifee and Canyon Lake's highest quality tile and grout cleaning services. We're experts in cleaning and removing dirt, soil, grease, grime, mold, and urine stains from all types of tile. We can provide next-day and sometimes same-day service and keep our prices very competitive. By using the best equipment and cleaning chemicals, we're able to achieve gorgeous results. To prolong the clean, like-new look of your tile and grout, we also offer affordable tile sealing. Call today to schedule tile and grout cleaning for your floors, countertops, backsplashes, and other surfaces. Rugs Royce also provides granite, travertine, and marble honing, polishing, and restoration services in Menifee and Canyon Lake. Our team has more than 10 years of experience restoring travertine, marble, and granite floors, countertops, and backsplashes, and are able to achieve exceptional results in less than a day. They use a diamond polishing pad and sander to hone and polish natural stone surfaces, allowing them to remove a very fine top layer in order to restore the gorgeous finishes associated with marble, granite, and travertine. With competitive prices, dedicated employees, and quick turnaround times, we offer one of the best values for travertine, marble, and granite restoration in Menifee and Canyon Lake. Call us today at (951) 898-9182 for an estimate on our natural stone restoration services.